Young people in Europe were among the hardest hit by the financial crisis, from which we are only just emerging. In Greece, the number of unemployed youths between 15 and 24 skyrocketed to 60 percent during the catastrophic year of 2013. In Spain that year, the number was 57 percent, in Ireland more than 30 percent. One in four European youths were without jobs as the financial crisis climaxed. As a result, getting young people into work became a burning hot issue for several years of EU summits in Brussels. EU countries agreed to invest six billion Euro in a so-called “youth guarantee”, which was to guarantee young people a job, internships or education within four months of registering as unemployed. Funding for the guarantee gradually grew with a further two billion Euro, provided by various EU funds. “I cannot and will not accept that Europe is the continent of youth unemployment,” EU Commission President Jean-Claude Juncker declared with great pathos in one of his major speeches on the future of the EU. But between EU countries there remains a big gap between lofty rhetoric about saving Europe’s “lost generation” and concrete political proposals and investments in young people’s futures. Politicians, EU civil servants, researchers and representatives for various organisations, trade unions and European cities recently gathered for a two-day seminar in Brussels to discuss how governments in in different parts of Europe have implemented the youth guarantee, four and a half years after it was introduced. “Some countries have simply handed out money to employers so that they can hire young people for a certain period. 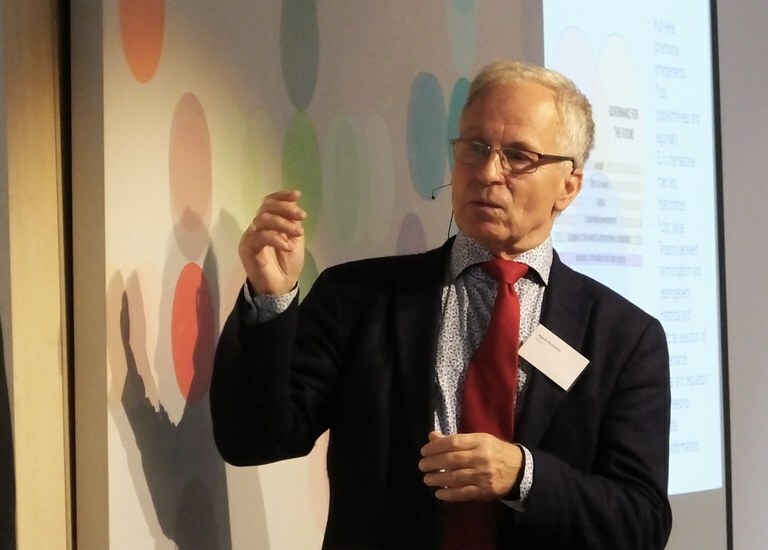 But this is a short-term gain creating some temporary jobs, but with questionable real gain in the form of knowledge and competencies for young people,” Professor of Sociology Bjørn Hvinden from the Oslo University College told the Nordic Labour Journal during the seminar. Hvinden has been heading the EU Horizon 2020 project NEGOTIATE (‘Negotiating early job insecurity and labour market exclusion in Europe’), which looked at short- and long-term effects for young people with uncertain links to the labour market; which “scars” do they get from getting stuck in low quality, temporary and often underpaid jobs – in different European countries, including Norway? The study unveils worrying links between unemployment, cannabis use and mental illness among young people. In mainly southern and eastern Europe, long-term unemployment or uncertain, temporary forms of employment also contribute to falling birth rates. “If young people do not dare to believe there is a good, safe future for their children, they may simply chose not to have a family and children,” explained Bjørn Hvinden in Brussels. One of the study’s conclusions came as a surprise to many of the seminar participants. Employers in several European countries are more sceptical to hiring people whose CV lists several jobs considered to be low-quality – like call centre, or people who have been ‘job hopping’, i.e. changing jobs often, or people who have received training organized by the public employment service; than to people who have been totally unemployed during the same period of time. So, some activities are worse than no job at all, according to some employers. “Young people must become more flexible and adaptable. We must review educations, but also young people’s attitudes, for instance their will to start on their own,” Ballester told the seminar. “We must teach them entrepreneurship early – when they reach 17 or 18 it might already be too late to learn,” said Ballester. The Commission civil servant also pointed to the importance of young people learning several languages in order to be able to move across borders and find jobs in other EU countries. His panel colleague, UK Labour Party MEP Julie Ward, who works with education issues in Brussels, challenged him. Ward criticised the austerity measures introduced in many EU countries during the years of economic crisis; a policy, which according to her not only forced the closure of safe and inspirational gathering places for young people, like libraries and youth clubs. She said it also led to what we see today – young people being forced to accept uncertain, low-paid jobs, or even to work for free, in an endless row of non-paid internships. “Young people say they are tired of not getting paid. I am tired of young people not getting paid. I hear the work innovation, but young people are already innovative. How much more flexible do they need to be? “We need dignified jobs for young people. You should not need to hold down three jobs in order to pay the rent. If we gave them a secure income and the opportunity to meet, we could learn from them, and not them from us,” said the MEP. “We want quality jobs, also at the start of a career. We oppose the narrative that in order to cut youth unemployment you have to lower the standards and wages of young people’s jobs. “Ireland, Spain and the Netherlands, for instance, have introduced youth salaries – in the Netherlands young people today can earn as little as four euro an hour. When you look at the cost of living in Amsterdam, this means these young people need at least two full-time jobs in order to survive,” said Ignacio Doreste from Etuc. Last spring the European Court of Auditors warned that the youth guaranteed had had a very limited effect, and that the EU countries so far had not succeeded in fulfilling their promise of finding meaningful employment for job-seekers below 25 within the agreed four months time limit. The guarantee lacked real strategies and methods to reach individuals who need help to find jobs, and what is more, the auditors wrote. There was a risk that certain EU countries would ditch their own initiatives and investments in young people’s futures and just rely entirely on the guarantee money from the EU; money which was meant as a help and not as an all-encompassing solution. The Court of Auditors encouraged the EU Commission to present more realistic expectations of the youth guarantee, and asked the individual EU countries to work harder to find jobs for young unemployed people. “The EU must maintain the pressure at all times and give the youth guarantee a more prominent place in the European semester,” Hvinden told the Nordic Labour Journal. The European semester is the term for the EU Commission’s annual review of, for now, twelve EU countries’ economic policies. The reviews result in written recommendations – and occasionally reprimands – for how each of the participating countries can better keep their budgets in check or adjust their labour market or tax reforms, for instance. Bjørn Hvinden recommends that the EU Commission’s reviews should point to the gap in how the youth guarantee money is being used. Publicly naming and shaming countries that do not address youth unemployment in any useful way is one way of forcing them to face the problem, the Professor believes. “The youth guarantee should not be considered to be a special interest, outside of other economic issues. On the contrary: The future of Europe depends on young people finding jobs,” underlines Hvinden. 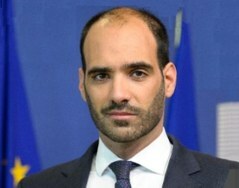 “If young people lose trust in the EU and in their own government, and lose their hope in the future, we are opening the door to all kinds of extremism, populism, and xenophobia,” Hvinden said. Three jobs in order to pay the rent? The future for European youth is brighter than a few years ago when the financial crisis climaxed. But many are still forced to accept uncertain, low-paid jobs, or even to work for free, in an endless row of non-paid internships. Here a group of youngsters on a tour through Trastevere, Rome (picture above).